Checking out the live stream for #tnw2012 – bit.ly/IG6cno – will be there tomorrow :). Should be fun and inspiring! Interesting to see what #tnw2012 has in store this year. Hilary Mason: „Understand the world before you’ll be able to change it.“ #TNW2012 Honger. Oké, let’s change this. Foooooood! Super interesting talk by @ajkeen, followed by an (IMHO) even more interesting talk by @hmason at #TNW2012. Energetic Alexis Ohanian aka @kn0thing, Reddit co-founder, jumps around the web #tnw2012 – from Cairo traffic to the internet marketplace. @mmeester Let’t keep in touch after #tnw2012 about some dev plans we have. HURRAY @amalucky „There are more women than EVER!! !“ #tnw2012 LOL!!! #tnw2012 Passes, passes and more passes! We designed some stickers for #TNW2012. Have fun at the conference! It’s number seven, baby! – Once again The Next Web Conference is coming to Amsterdam end of upcoming month from 26-27 April 2012, and the agenda will probably rock the European digital crowd! The event will start with the exclusive CxO Summit on 25 April, at the amazing Westergasfabriek location (Klonneplein 2-4, Amsterdam, The Netherlands). Apart from the main focus, the digital thing, the conference will consequently address a variety of professional audiences like founders, investors, and business from start-ups to enterprises in general as well as interactive and marketing agencies. Special tracks are planned for designers, developers (including a Hack Battle) and students. Susan Crawford, Professor at Cardozo Law School, Visiting Stanton Professor of the First Amendment at Harvard Kennedy School, Visiting Professor at Harvard Law School, Founder OneWebDay, former Special Assistant to President Obama for Science, Technology, and Innovation Policy. – Ehm, you don’t know What breadpig is, yet? So don’t forget to bring some tulips this spring for your darling! – Click here to register for the The Next Web Conference 2012. In less than two months, on May 15th, 2012, a spin-off of one of our favorite conferences, will be launched in Amsterdam, The Netherlands. On May 15th the PICNIC people will kick the new summit PICNIC Innovation Mash Up for the first time. The PICNIC Innovation Mash Up will be a one-day, active learning event focused on “how”: how businesses in traditional sectors can successfully apply top innovation processes used by Dutch and international creative industry professionals to launch new products and services, connect with customers and grow. 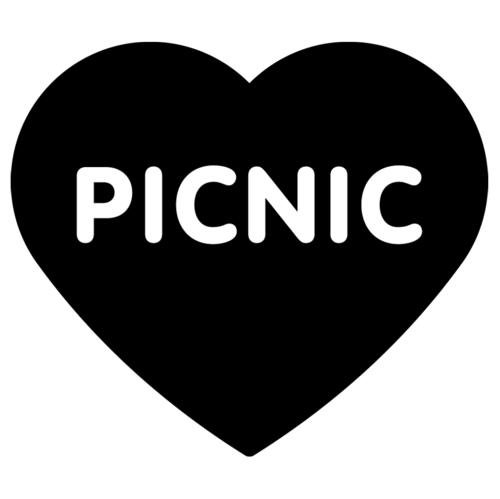 […] PICNIC’s twist: creative industry experts will lead the event, coaching, collaborating and contributing valuable expertise, ideas and feedback. The May event is somehow a kind of pre- before main event (in September). It mainly addresses the creative industries and business as well as non profits, government, higher education and science and technology. The single-day agenda at the Dutch capital will have a plenary session and break-out workshops as well as matchmaking sessions. Now it’s your turn: If you get your ticket before end of March you will still get the early bird ticket rate of EUR 250 which would mean a saving of EUR 50 in comparison to the regular rate of EUR 300.